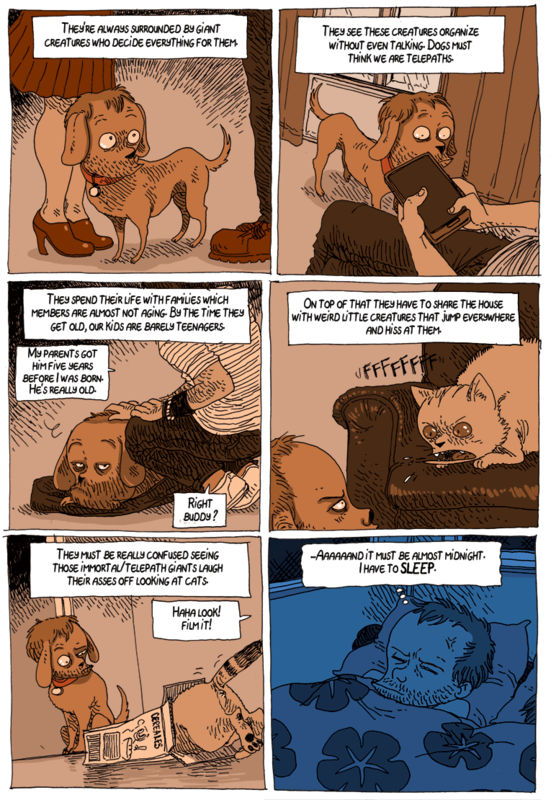 I love that the dog's face looks like Boulet's! 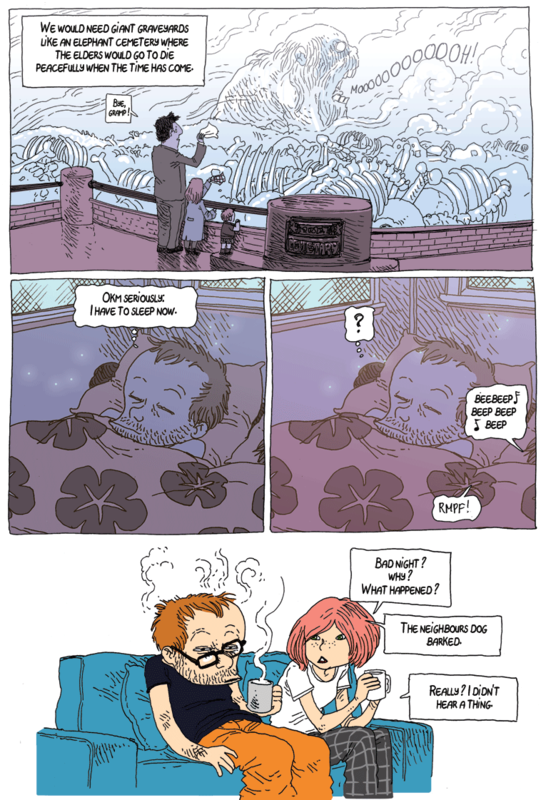 This week of continuous Bouletcorp has been a treat! Hooray I'm so happy to see more english comics. I missed them during that bit of down time. You do wonderful work. Yay! 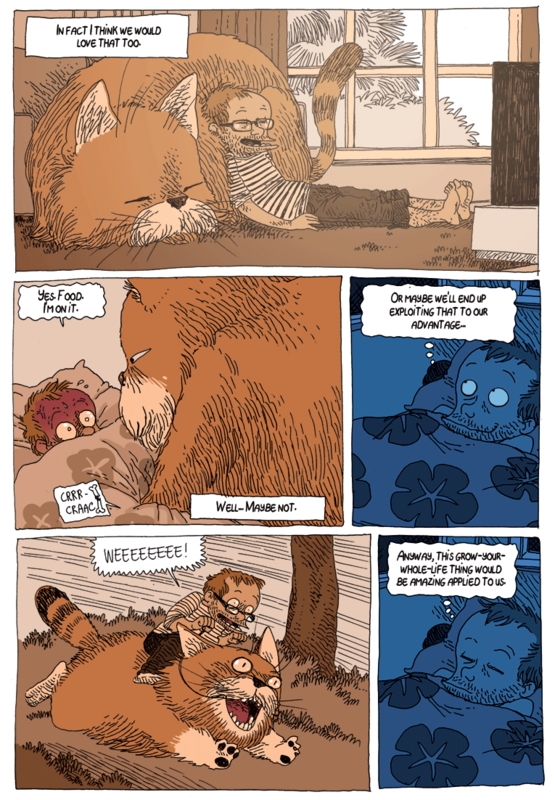 the awesomeness of Boulet is back! 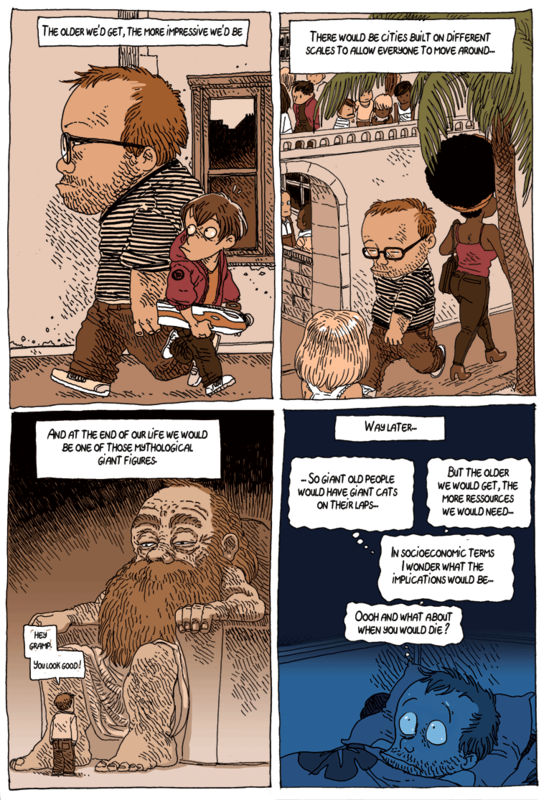 Hey, is that Natalie Nourigat in the last panel? Oh my goodness this is why I love your work. 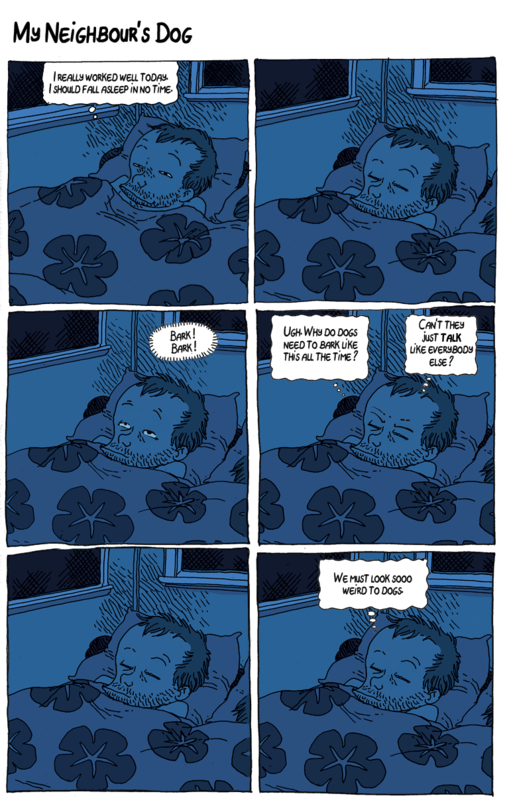 This is exactly what it like when you start to think in the middle of the night and you are writer at heart. Always questioning and always wondering what life would be like if you changed the world just a little bit. 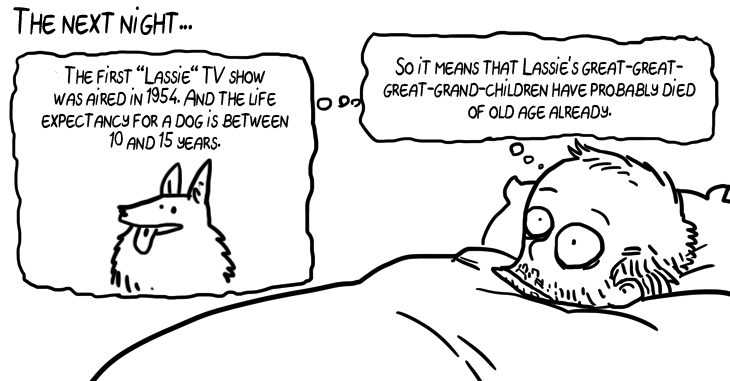 That is really something to keep awake at night. This is like a whole weird fantasy novel waiting to happen! 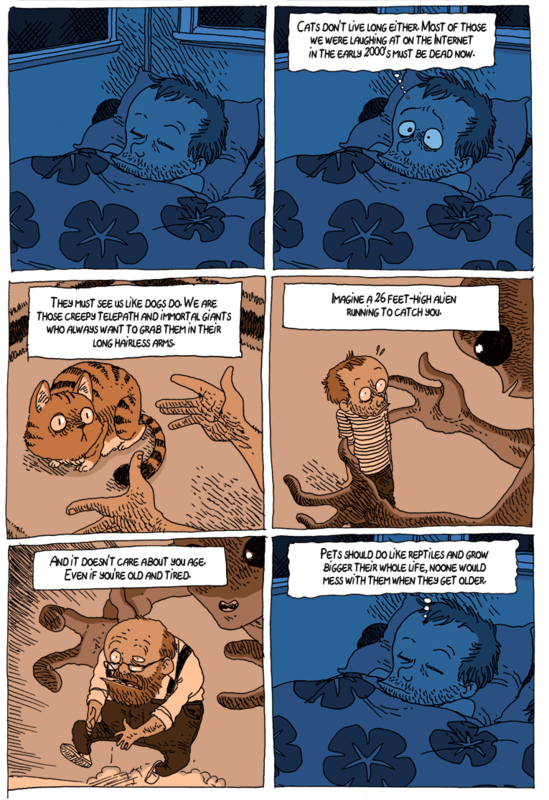 Really great to see some more of your comics in English by the way.